Ramsey Cooper – Lone Star State Director, as a graduate of historic Wiley College served as Chairman of Beta Centennial where he led fundraising efforts to build the Beta monument and produce the Beta Honors awards banquet. He is a member of Eta Rho Sigma chapter and in 2016 he was elected State Director with a campaign theme Forward Together, which has been his approach to the responsibility. For examples: he led the effort for 33 members of Phi Beta Sigma representing 7 chapters to have each one honored in Who’s Who of Black Houston; he led the Sigma involvement in the 1st state-wide Sigma Beta Club retreat which took place at a U.S. Fish & Wildlife Reserve; and for the Hurricane Harvey response, he collaborated with 34th International President Jonathan Mason to organize the community service project that brought together several members from 6 chapters. In 2016 Cooper was appointed as Gulf Coast Region Coordinator for the John Lewis Documentary Project resulting in the region and state being ranked #1 in total dollars collected through the conclusion in 2017. Under his leadership as State Director, chapter membership growth has ranked Texas #1 nationally for having the highest number of financial members in 2016 and 2017. He was re-elected as State Director in 2018 with the campaign theme Continuing Forward Together. Doralo Fuller – Associate Lone Star State Director, joined Phi Beta Sigma November 27, 2008, through Alpha Omega Sigma Chapter, Seoul, Korea. Currently he is serving his third term as Chapter President for Beta Beta Sigma Chapter (BBS), San Antonio, Texas and served three terms as the Lone Star State Parliamentarian. Previously, he has served as chapter Bigger and Better Business Director, Treasurer, 1st Vice President, and Secretary. In 2014 he served as Chairmen of the South-Central Texas Centennial Celebration Committee and has served on the Awards & Standard Committee at the National and Regional levels. He is a member on the National Credentialing Committee. A few of accomplishments include Chapter Program Director of the Year and State Level Best Bigger & Better Business Award. As Chapter President he led Beta Beta Sigma to become a Founders Level Chapter in 2014 reaching a membership total of 104. He also coordinated a joint centennial celebration for Austin, Killeen, & San Antonio Alumni Chapters consisting of over 200 brothers from all three chapters. Lastly, under his leadership, Fuller has help Beta Beta Sigma grow to be the 4th largest chapter in the Region and 8th largest with the Fraternity with a total of 128 members. 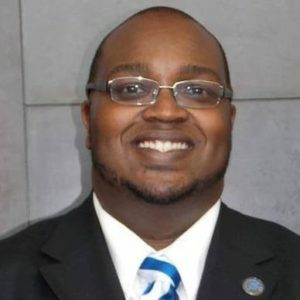 Aaron D. Vallot – Lone Star State Secretary, became a brother of Phi Beta Sigma Fraternity Inc. through Xi Chapter of Grambling State University during the Spring of 1997. Currently, he is a member of Iota Mu Sigma Graduate Chapter in Arlington, TX, where he previously held the role of both Recording and Correspondent Secretary. He is the current fundraising chair for the chapter. Vallot holds a Bachelor’s of Science in Management along with a Masters of Business Administration with a focus in Marketing from Texas A&M University @ Commerce. He is currently pursuing a Masters of Science in Human Resource Education and Workforce Development from Louisiana State University. Vallot has 15 years of Human Resources experience with organizations such as NEC, Baylor Health Care System, CBRE and most recently Hilti North America in Plano, TX. In his current role as Sr. Talent Acquisition Specialist, he is responsible for facilitating and assessing opportunities for engineers within the organization. Vallot has a passion for Diversity and Inclusion and works to help foster a company culture that mirrors its community. He is an original native of New Iberia, LA and currently resides in The Colony, Texas. He is a founding member of the Collie J Nicholson North Dallas Chapter of Grambling University National Alumni Association. Bresean Cockrell – Lone Star State Treasurer, is a graduate of Texas Southern University. He was initiated into Phi Beta Sigma Fraternity, Inc. in the Fall of 2012 through the Eta Rho Sigma Alumni Chapter where he serves as one the chapter’s NPHC Representatives. Professionally, he is assistant principal at North Shore Senior High School in Galena Park ISD. He earned his master’s degree in Educational Leadership with a specialization in school finance from the University of Houston Clear Lake. His goals for this administration are: improved financial reporting, leadership in the creation of a state budget, a push for statewide compliance with international, regional and state financial policies, procedures and protocols, analysis of current and future state revenue streams to help increase the state’s treasury. 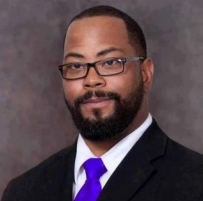 As a Sigma Man, He has accomplished numerous service tasks including; school adoptions, AIDS Walks, Relay for Life, scholarship fundraising and awarding and the all facets of the March of Dimes. He has also had the opportunity to serve in many positions since entering the fraternity such as; Director of Education on the chapter and state level, Membership Intake Chairman and Sigma Beta Club Advisor. 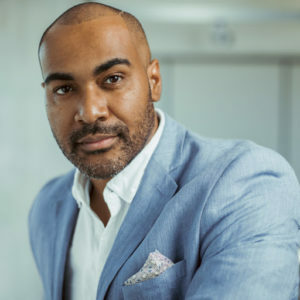 Eric D. Hill – Lone Star State Bigger and Better Business Director, became a member of Phi Beta Sigma Fraternity Inc at the University of Oklahoma. Since becoming a member, he has held leadership positions as well as Chapter and Regional committee assignments. A member of Omicron Sigma Chapter, he has served as Second Vice President and Director of Bigger and Better Business as well as served on the Phi Beta Sigma International Human Resources Committee for the past four years. 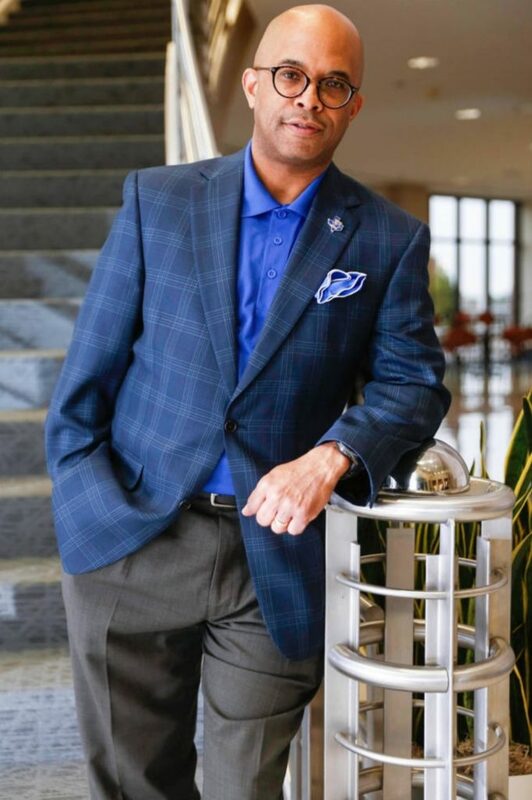 In 2018 He was honored with the Omicron Sigma chapter President’s Award as a result of increasing the number of scholarships awarded annually, establishing our Blue Tuesday Networking Events as a signature chapter event, and increasing the number of advertisers in the Annual Royal Fall Ball Scholarship Souvenir Journal. When tragedy struck Omicron Sigma with the loss of Reginald Walston, He created a partnership with Children’s Hospital to provide toys to children diagnosed with sickle cell anemia, turning sorrow into service. 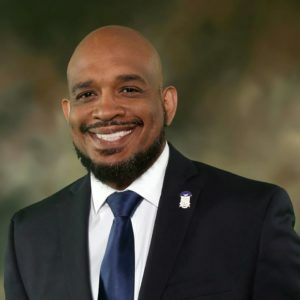 He spearheaded a new initiative to have Phi Beta Sigma Fraternity prepared to serve in response to a natural disaster by establishing a food pantry North Dallas. He was recognized by the North Dallas Suburbia Pan Hellenic Council as Frat of the Year. Rob Guy – Lone Star State Social Action Director, was initiated in to Sigma in the fall of 1992 in the Xi Eta Chapter at McNeese State University where they feed the homeless and misfortunate at Abraham’s tent every year for Thanksgiving. He later matriculated to Texas and most recently has served as the Social Action director of the Omicron Sigma Chapter in North Dallas. In this role he led the chapter to raise over $30,000 to support the March of Dimes partnership as well as taking part in initiatives to raise awareness for Heart disease with the American Heart Association. He strives to be a servant leader and assure that Phi Beta Sigma is at the forefront of relevant social action activities. He has collaborated with community partners to provide school supplies and school uniforms for students who were displaced by the same tornadoes. He believes that the service we give to the community is the rent we pay for living here and patterns his life in such a manner to exhibit this daily. Personifying the motto, ‘Culture for service and service for humanity” he has worked tirelessly in the religious and nonprofit realms to impact his community and help those in need for more than 20 years. 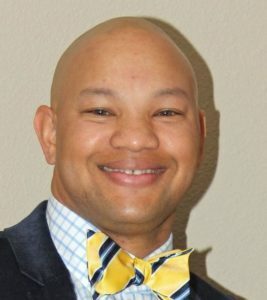 Karl A. Hearne – Lone Star State Collegiate Affairs Director, has worked with Texas Collegiate area at risk chapters to develop academic success, recruitment, and retention plans to positively promote and sustain Sigma on campuses. Embracing mentoring and professional development, Hearne coordinated an effort to recognize 16 Texas Collegiate Brothers of Sigma in the 9th and 10th editions of Who’s Who in Black Houston. Hearne assisted the Gulf Coast Regional Director of Collegiate Affairs In hosting the 2017 Gulf Coast Region Collegiate Advisor University (CAU) Training which provided training for 30 advisors and chaired the logistics for hosting the 2017 Gulf Coast Regional Board Meeting at UH. Professionally Hearne has 15 years of experience at the University of Houston serving as the executive assistant to the Vice President for Neighborhood and Strategic Initiatives. He serves on numerous committees and spearheads countless community events. Most notably, serves as the co-coordinator for the State Employee Charitable Campaign, which raised nearly $87,840 for charities in 2016. He is recipient of the Houston Mayor’s Office with Disabilities CARE Award. Hearne, a two-time University of Houston graduate, has a Master of Science in human resource development and a Bachelor of Science in consumer science and merchandising. Frederic A. Berry – Lone Star State Director of Sigma Beta Clubs, pledged Phi Beta Sigma Fraternity Inc. Spring 1980, Kappa Kappa Chapter at Northeast Louisiana University. He served as Vice-President and Dean of Pledges. A proud member of the fraternity for 36 years now serves at Iota Mu Sigma Chapter as the Sigma Beta Club Director. He loves listening to music and watching football, yet he falls asleep unless the Saints are playing. He is a native of Alexandria Louisiana. Frederic married his high school sweetheart Brenda Roberson Berry in which they been married for 30 years. They have two affluent Phi Beta Sigma men, Bredric and Kiedric Berry. Frederic is employed with the Dallas Independent School District, as a Programmer Analyst. 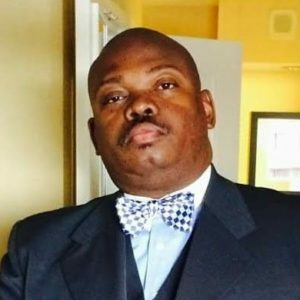 He is also an active member of the Antioch Fellowship Missionary Baptist Church of Dallas Texas where he sings in the Male Chorus and serves as Deacon. 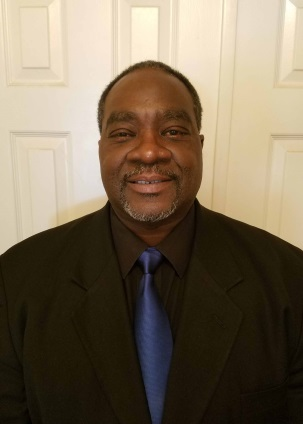 Juston Barnett – Lone Star State Historian, is an employment specialist with Goodwill Industries of Houston and assists former military veterans with barriers who have recently been released from incarceration, and provides those veterans with job-readiness training, life skills training, and employment assistance. Juston is a native Houstonian, and has a culture for serving humanity through community involvement and mentorship. Juston is a proud member of Phi Beta Sigma Fraternity Inc., and serves as the first Texas state historian and first chapter historian for the Eta Rho Sigma alumni chapter. In addition, Juston is also a Prince Hall mason and serves as the Senior Warden of Highland Heights Lodge #200 in Houston, TX. Juston obtained an A.A. in Criminal Justice from San Jacinto College in 2006, and transferred to Sam Houston State University where he graduated with a B.S. in Criminal Justice in 2009. Moving forward, Juston plans obtain a Masters degree in Social Work and also plans to be a social worker, educator, author, and a public speaker.